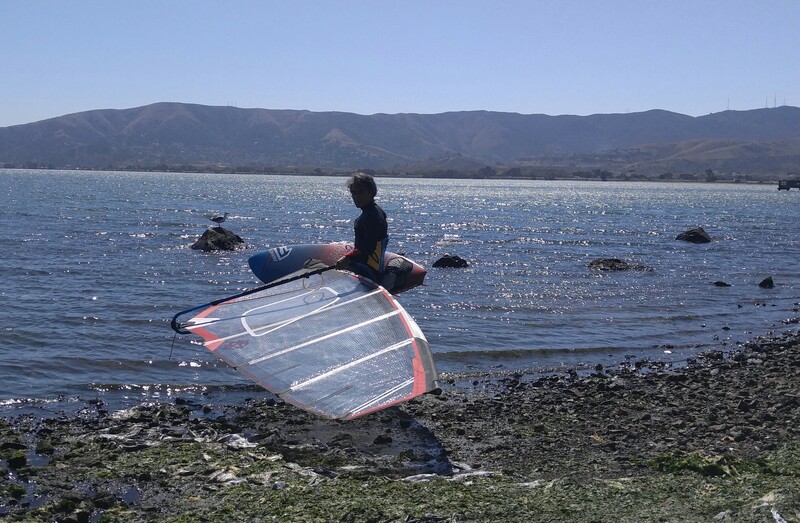 iWindsurf Community :: View topic - Candlestick? Posted: Sun Jul 08, 2018 11:55 pm Post subject: Candlestick? I plan on visiting San Fransisco the first 2 weeks of September. I used to sail Candlestick alot but haven't sailed the bay in about 5 years. What's the deal with Candlestck these days as far as sailing and parking? Posted: Mon Jul 09, 2018 8:37 am Post subject: Re: Candlestick? Stick is ripping! Come and say hi! Parking is fine, there is usually space for everyone usually. Stinky sometimes, but its all good! with gusty winds that can shift westerly which will make it somewhat holey. The regulars start showing up at 3 pm. Jersey barriers have been placed in front of the wood fence but you can still park next to them. Also, more locals are fishing by the rocks just past the launch..don't get too close to their fishing lines as they get kinda ornery if you do. So If you like flat water sailing in strong, gusty offshore winds, the Stick is the place to go. Awesome! See you guys in September. That's great to hear that Fred, the energizer bunny, is still sailing the Stick. Looking forward to seeing him again. I noticed in the pic what looks like a no parking sign on the road next to the launch. Can that sign be safely ignored? Posted: Mon Jul 09, 2018 10:46 pm Post subject: Re: Candlestick? To be honest is a bit depressing. One one side you have the multi-billion-dollars development that has been happening at China basin, on the the other a State and City that cannot find the tiny amount of money needed to properly maintain a public park. What you get as a result is partly depicted in the photo. 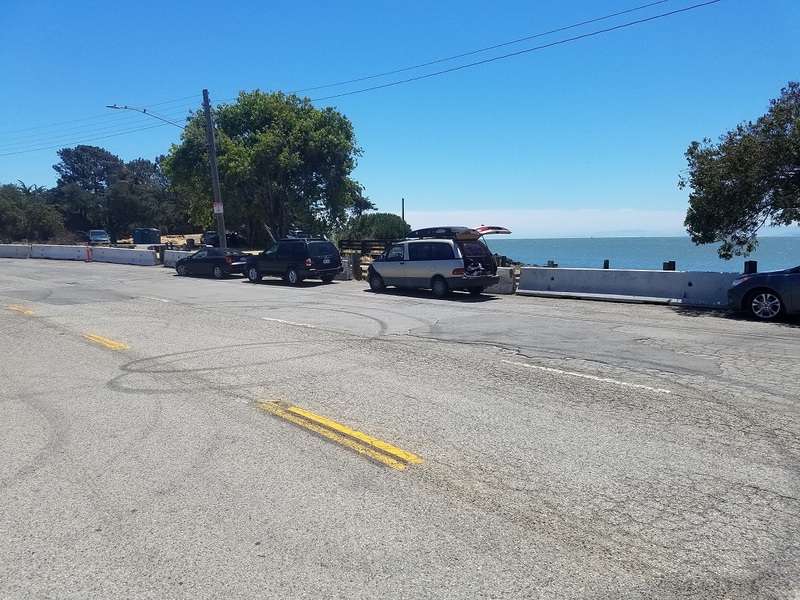 It has been two years without restroom, there is no ranger presence, big sections of the parking lane are collapsing into the Bay, and now they put in those disgusting gigantic cement blocks instead of fixing the wood fence. signs going in now and the road from the off ramp to the sailing area is pretty rough. I am not so sure you can park safely after the sign any longer. Now you stick out in the middles of the street ... And it is way harder to go from your car to the "beach". You have to squeeze in between cements blocks that seem out of a dystopian movie. As far as livability the problem is a State park that is left unsupervised, no ranger in sight, and in disrepair. Stick used to be a major playground. You used to see tons of children, especially in the weekend, from the local black and latino communities. Not so much any longer. Compare how the Stick is left in total disrepair to how Crissy field, or Golden Gate Park, or almost any other of the urban parks are manicured ... It is depressing and I find the place so grim that I have stopped going there almost completely. Sad to hear that the Stick is too grim for you now. But you do have a good point. No other parks in the city are so neglected. I wonder when they will spend all the money the developers contributed to fix iup the park. Maybe after the road is completely redone. Supposedly, the money is there.